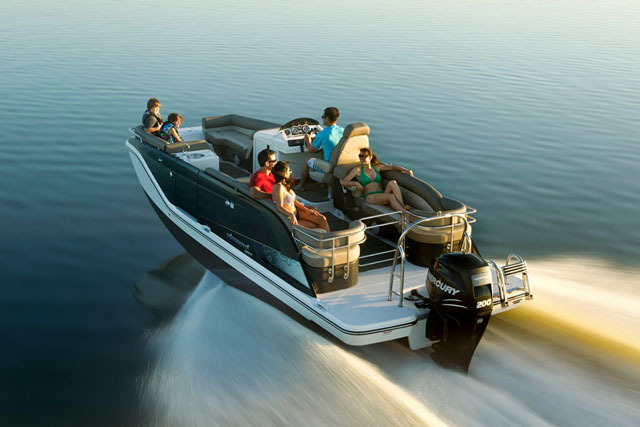 Picture guru Tom Gruitt picks out some of the best boating photographs of 2015 in this visual look at the year. As another year draws to a close, it's the perfect excuse to dig through the year's amazing photos and achievements. 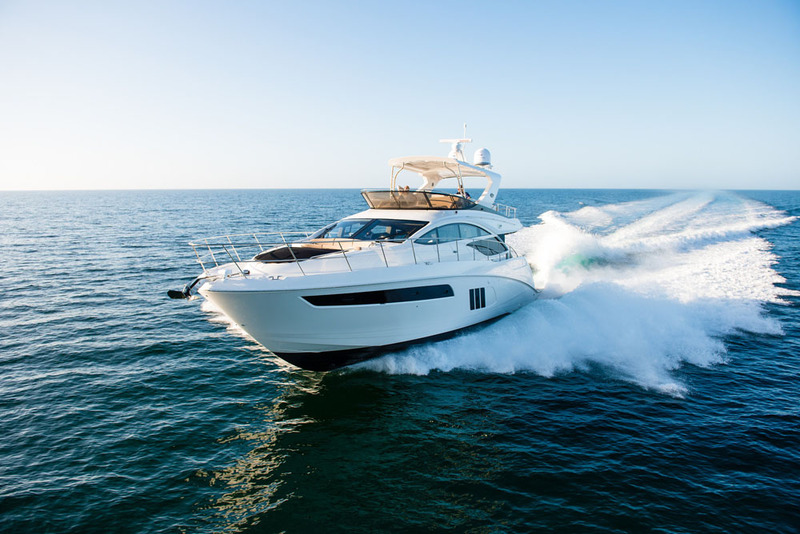 We asked our friendly boating picture guru, photographer and photo editor Tom Gruitt, to select his pick of 2015's images. 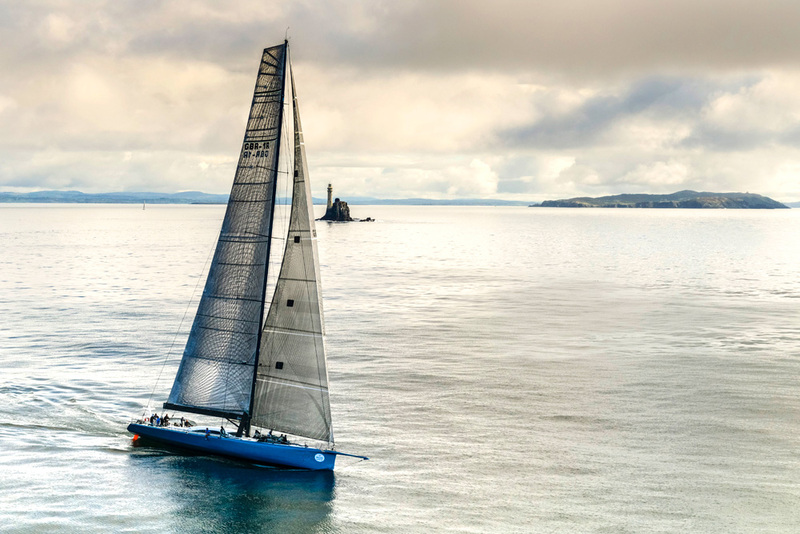 Leopard during the 2015 Fastnet Race. 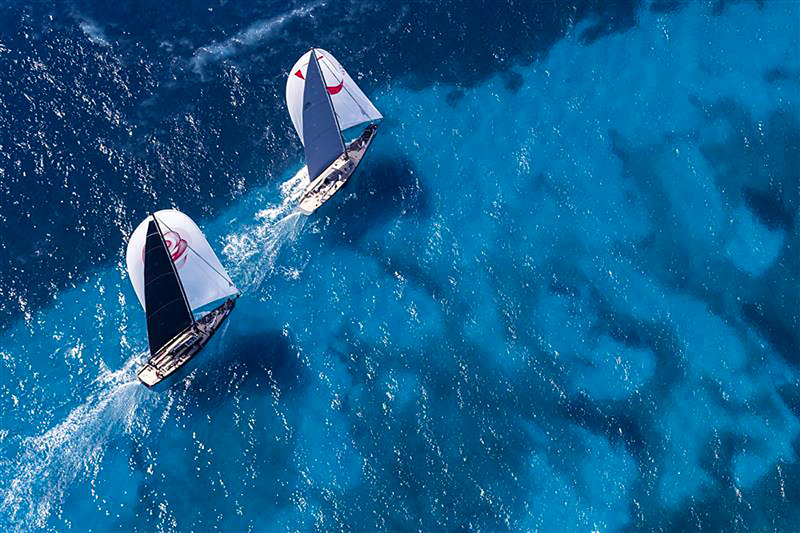 Photo Kurt Arrigo/Rolex. 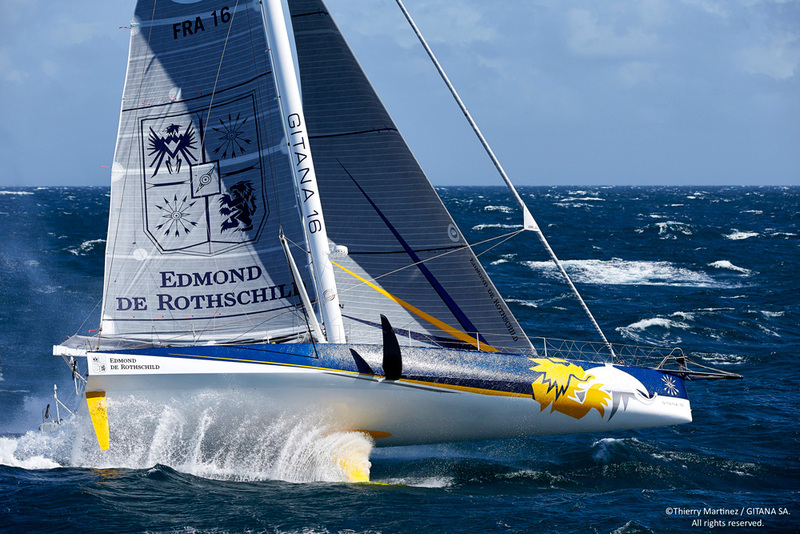 Every other year is Fastnet year, and the race usually delivers some amazing stories and imagery to match, so it's no surprise that an image from the 2015 event has made it into the list. This fabulous photograph by Kurt Arrigo might not be action-packed, as it shows Mike Slade’s Maxi Leopard drifting past the Fastnet Rock during the 2015 Race. The Wallys J One and Tango G. Photo Carlo Borlenghi/Rolex. 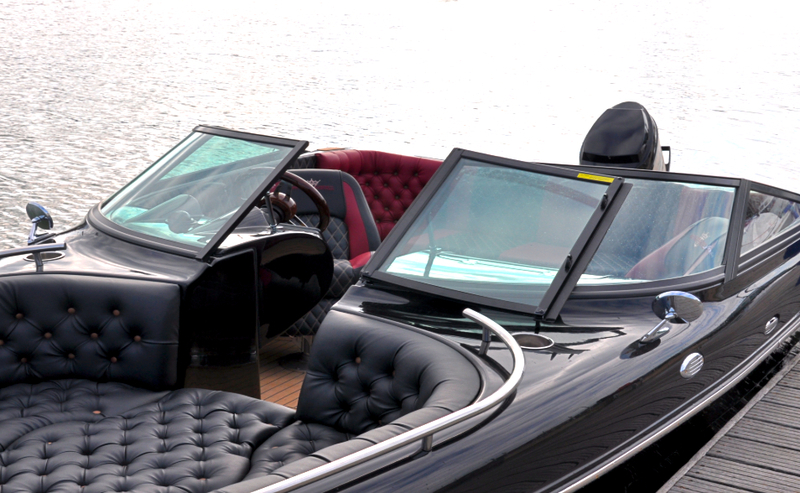 The more glamorous the boat, the more glamorous the racing location. This gorgeous image by the talented yachting photographer Carlo Borlenghi shows the Wally class J One and Tango G cruising downwind on the crystal clear waters of The Costa Smeralda during the Maxi Yacht Rolex Cup. Extreme Sailing in Cardiff. Photo Lloyd Images. The Extreme Sailing Series is another event that regularly delivers some spectacular sailing photographs. 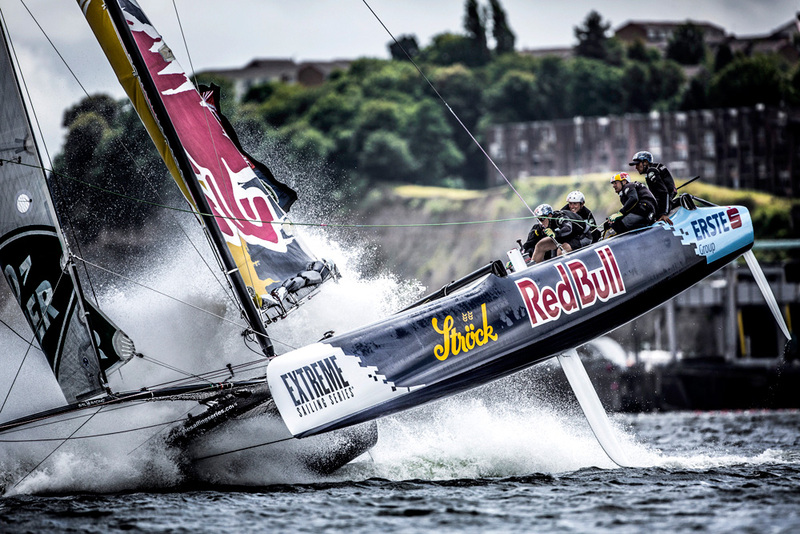 In this exciting image, Mark Lloyd captures the moment when Red Bull took a nose dive during the final day’s racing in the Extreme Sailing Series event in Cardiff. America's Cup World Series action. Photo Dan Ljungsvik/Brandspot. This year saw plenty of action in the America's Cup World Series, including a home win for Ben Ainslie's Land Rover BAR team in front of home crowds in Portsmouth (see Ben Ainslie's America's Cup Series win). 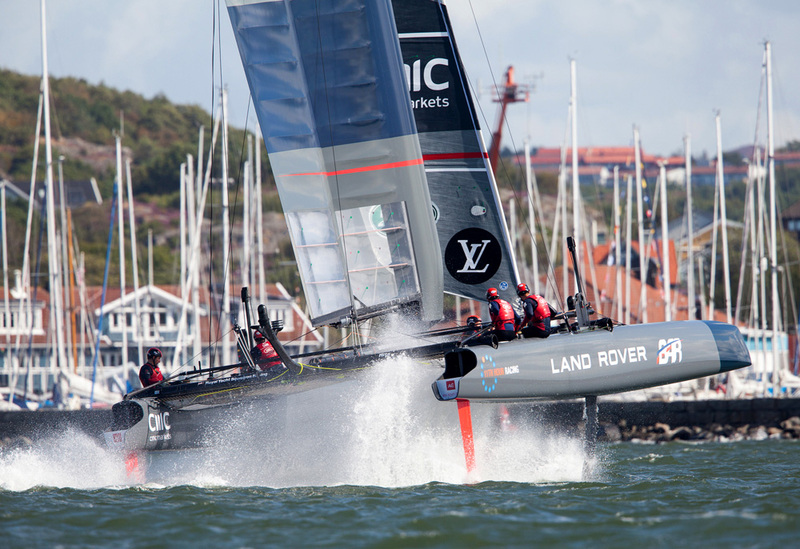 This amazing shot is from the Louis Vuitton World Series in Gothenburg. Photographer Dan Ljungsvik captures the moment as Ben Ainslie heads into a gybe at full speed. Two classic beauties. Photo Guido Cantini/seasee.com. 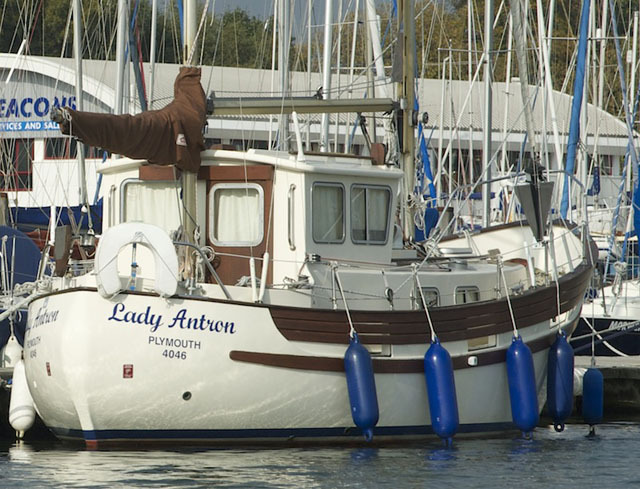 Classic yachts lend themselves to stunning photography, but they aren't just for looking at. In this case we see two racing machines doing what they were built for. 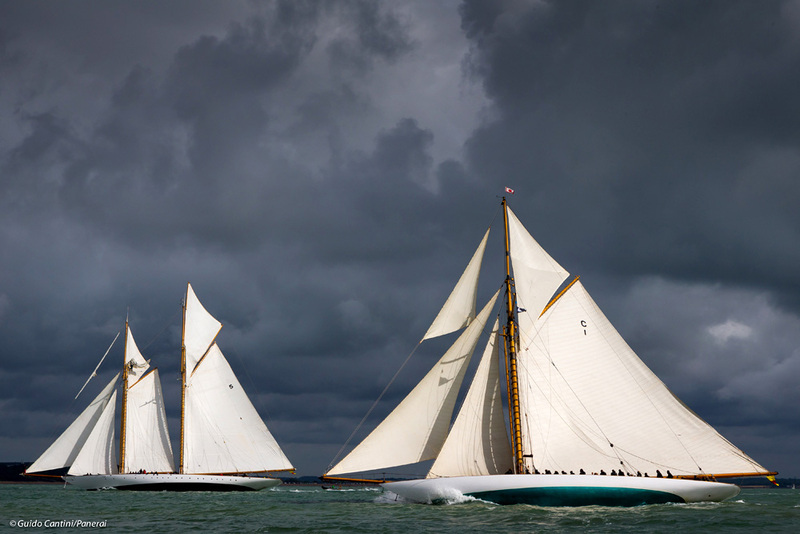 This image shows two beauties, Eleanora and Marquita, in full race mode as they battle hard upwind in tough conditions during Panerai Classic Week 2015. Gitana. Photo Thierry Martinez/Gitana SA. 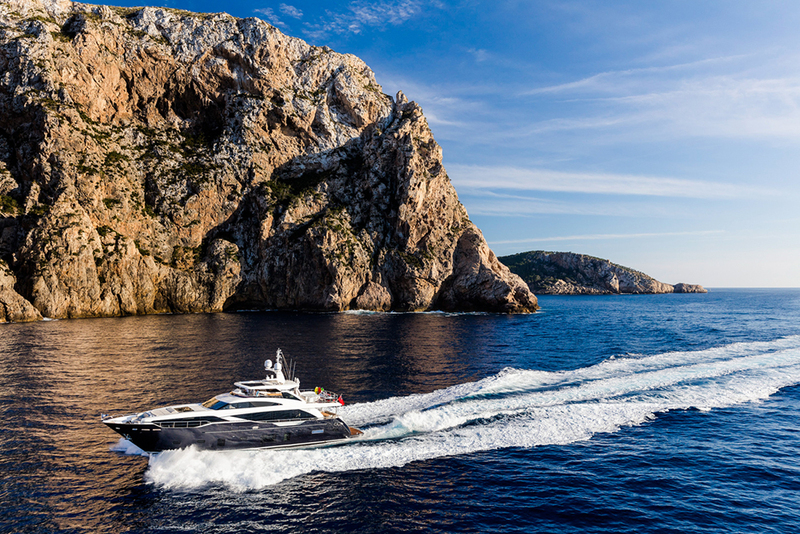 When it comes to yachting photography, France's Thierry Martinez is undoubtedly one of the kings. 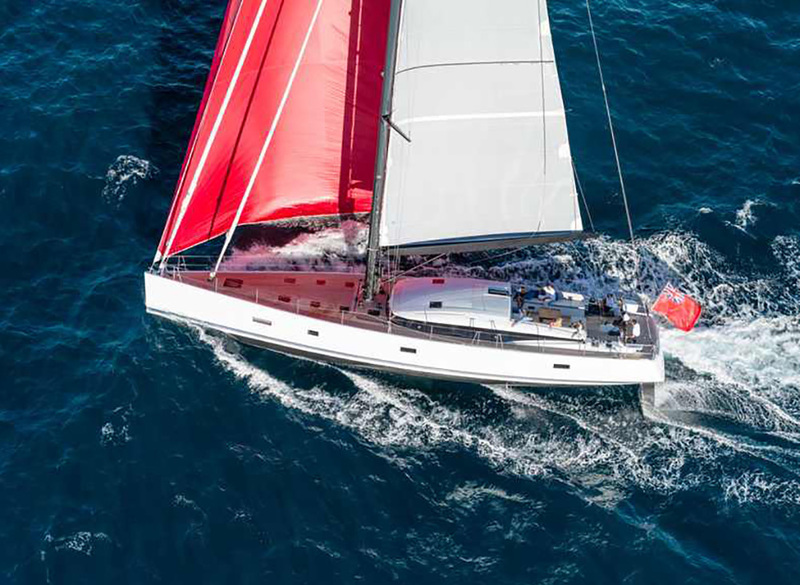 This image of the new Gitana 16 IMOCA 60 shows the cutting edge racing machine ‘semi foiling’ with Sébastien Josse at the helm. Mini Transat air. 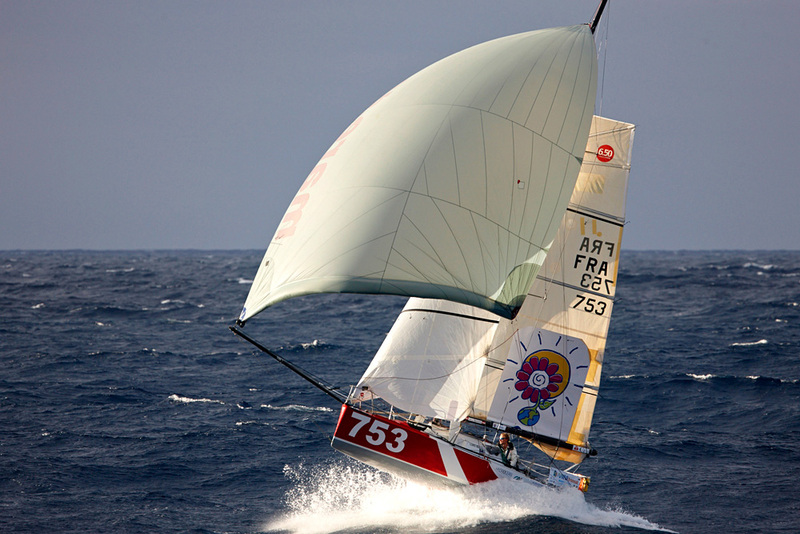 Photo Jacques Vapillon/Mini Transat. The Mini Transat is an event that borders upon the crazy, but it is famous for developing the singlehanded ocean racing stars of the future. This image shows Luke Berry getting some air offshore in his Mini 6.50 in the Mini Transat Îles de Guadeloupe 2015. Team Vestas Wind aground. Photo Brian Carlin/Volvo Ocean Race. Some of the year's spectacular images captured less positive moments, but are none-the-less impressive. 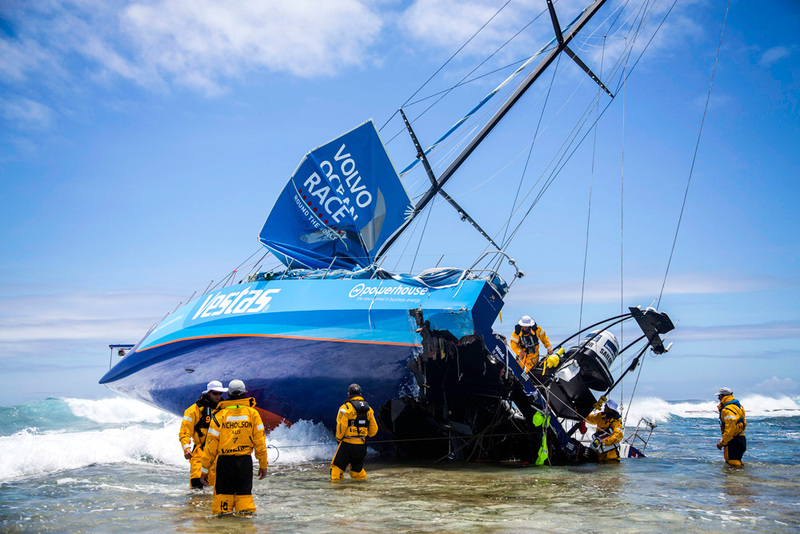 Onboard photographer Brain Carlin took this amazing photograph showing the sad sight of Team Vestas Wind aground on the Cargados Carajos Shoals during the Volvo Ocean Race. Through the hard efforts of the team the boat was rebuilt and managed to join the fleet again in the last leg. 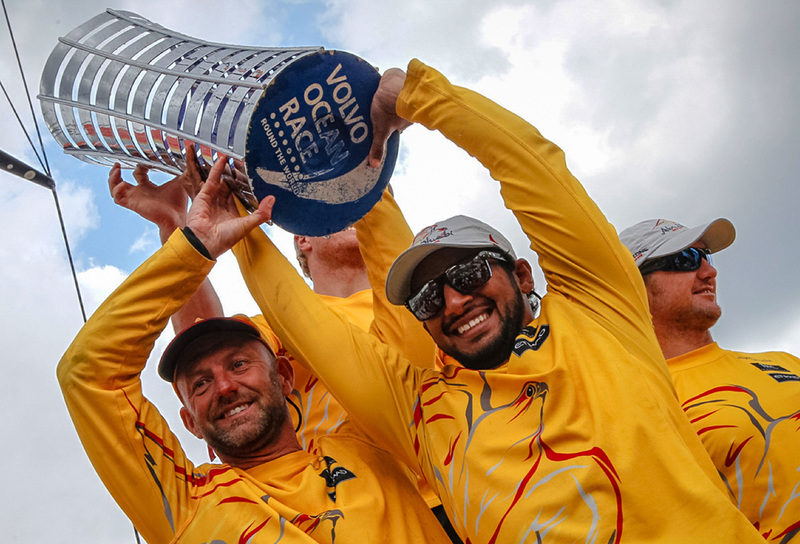 See more images from the 2014-15 Volvo Ocean Race here. 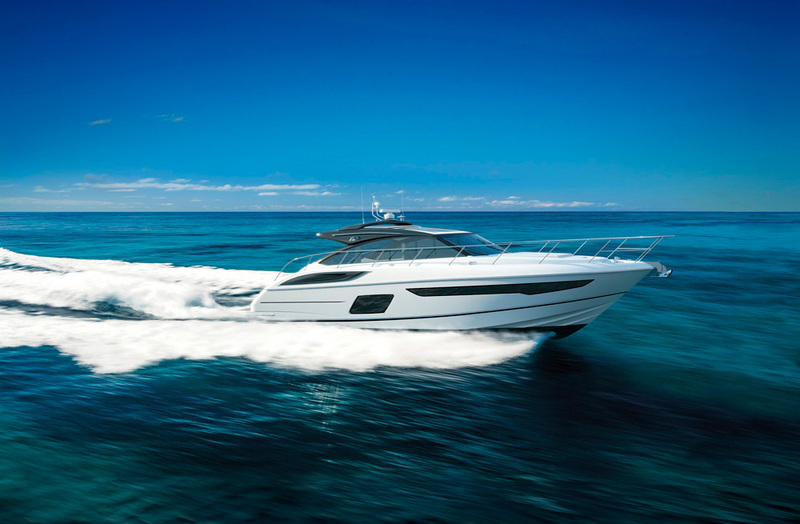 High end powerboats like their blue waters, this may be a classic shot, but it shows off the Princess V58's lines to perfection, and so it makes it onto our hot list. Abu Dhabi Ocean Racing's Azzam. 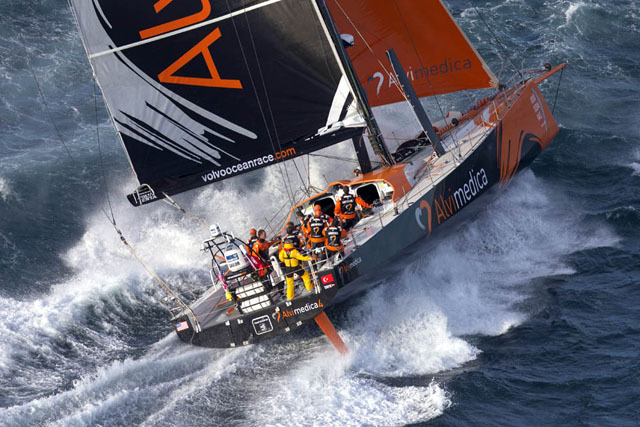 Photo Ainhoa Sanchez/Volvo Ocean Race. 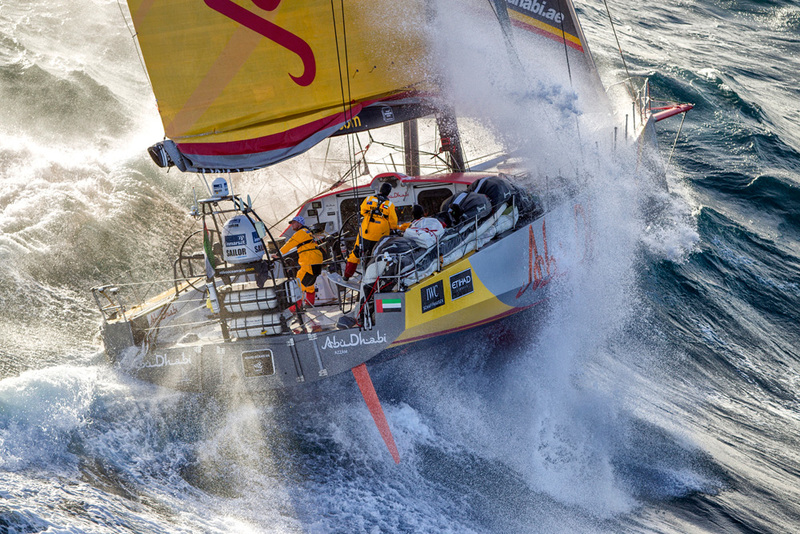 The 2014-15 Volvo Ocean Race delivered many amazing images, as well as a tight competition at the top. This picture by Ainhoa Sanchez shows Ian Walker skippering Abu Dhabi Ocean Racing's Azzam past East Cape, New Zealand in rough seas. Ian and his team went on to win the Volvo Ocean Race and earn themselves a great welcome at the finish in Gothenburg. Action from Bournemouth. Photo P1 Superstock. If you are after amazing powerboat racing images, then P1 Superstock never fails to impress. 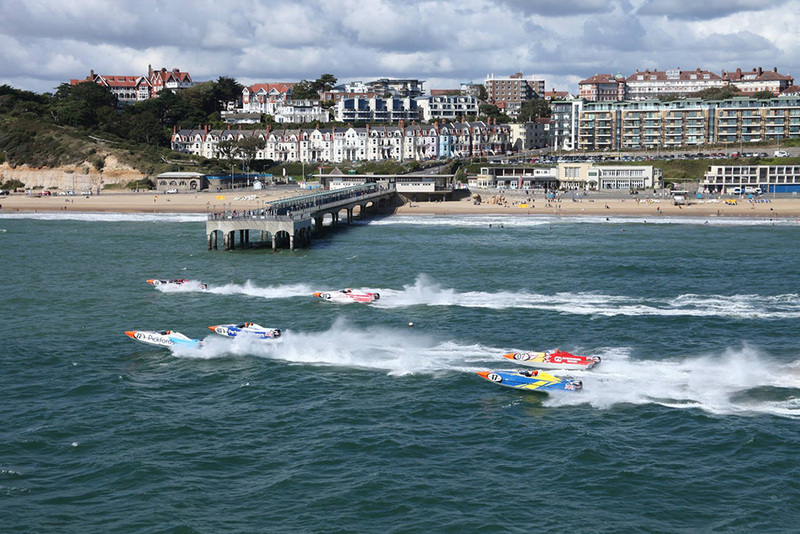 This amazing image is from the Bournemouth Grand Prix and shows just how close to shore the boats actually race - there's no doubt it's exciting viewing. If you want to find out more, take a look below at an interesting video from the Gosport Grand Prix event, which gives a good insight into the world of Powerboat Racing. There you have it, there were plenty of other great moments, check out our Facebook page and add your own. If you're feeling nostalgic, take a look back to 8 fabulous sailing photos from 2014.